The Ezzy Half Moon bag is a unique design, inspired by Sriyani, our factory manager. 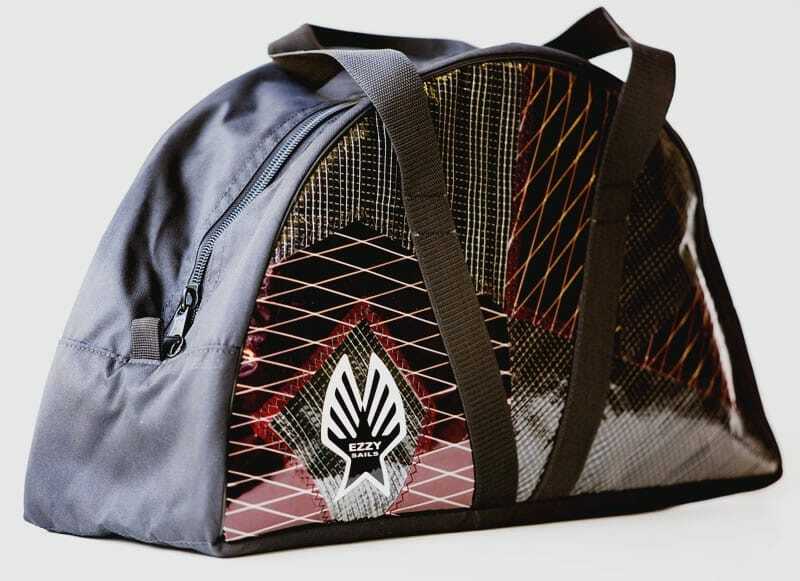 A great all-purpose bag for your windsurf gear, your gym cloths, or your everyday needs. Features an internal pouch, a high quality metal zip, and a stylish nautical vibe. *NOTE* Colors – we cannot guarantee the colors on the bags. They are made of left over sail fabric and colors will vary.